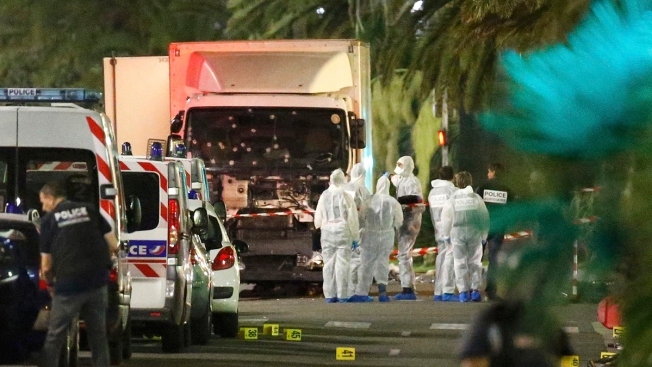 File photo: French police forces and forensic officers stand next to a truck in the early morning July 15, 2016 that ran into a crowd celebrating Bastille Day on the Promenade des Anglais in Nice, France, on the evening of July 14. Eight new arrests have been made in connection with the attacks, authorities said on Sept. 20, 2016. French authorities have made eight new arrests in connection with the Bastille Day truck attack in Nice that left 86 people dead, the Paris prosecutor's office said Tuesday. The office said the suspects detained Monday were French and Tunisian and had links to the attacker, Mohamed Lahouaiej Bouhlel, who plowed a 19-ton truck down Nice's Promenade des Anglais and into a crowd assembled for a July 14 fireworks display. All eight were arrested in the Alpes-Maritimes region in the southeastern corner of France that includes Nice. 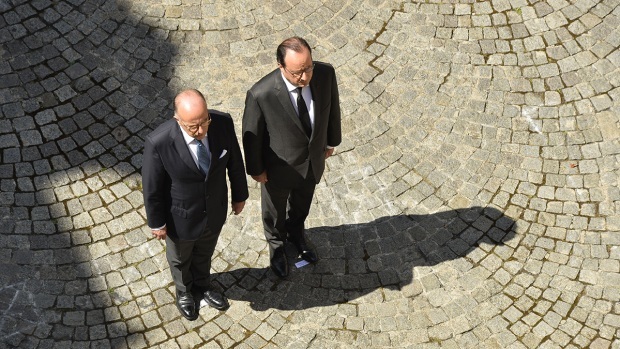 The Islamic State group has claimed responsibility for the July 14 attack. French authorities say Bouhlel, a Tunisian with French residency, was inspired by the extremist group's propaganda, but they say no evidence has been found that IS orchestrated the attack.